Rev. Jan Michael Nace, Th.D. It happened to me on my way back from solitary confinement. I was ministering to a middle-aged prisoner whose son had been horribly assaulted by a predator. It nearly drove the prisoner insane. He had written me in the hope for someone to talk to. When I read his letter I had no choice but to go see him. As I looked into his face as he related his story I detected a tear dropping off his chin. I was reminded even grown macho men have emotions. Especially when it comes to family. As I listened I waited to hear what God would give me to tell him. Finally, when he finished I told him “I will keep what you have told me in prayer for this next week and write you what the Lord shows me. But in the meantime I want you to grasp the truth that God is bigger than any life event, in fact, he is bigger than life itself. We need to hold on to that so we can hear from God.” He seemed to receive that message and show signs of hope. I will keep my promise. That is my policy. It has been my policy for 28 years and will never change. You see, I am a Prison Chaplain. I have been a Prison Chaplain full time for 29 years. It is my parish. It is one of the richest environments anyone would hope to work in. It is not for everyone. But it is for some like me. At least for now. So as I was walking back from the solitary confinement quarters with its grim reminder of the forgotten, I reviewed my ministry there. So often I had said to my wife “I long for a ministry [after 29 years] on the outside.” Being full time in prison work removes you from society, and among the forgotten. Life goes on outside but stands still on the inside in many ways. You watch men get older but don’t see their circumstances change. It is like frozen time. You never seem to go into the future. So as I was reviewing my ministry inside I thought of the conversation I had just had with this gentleman in solitary. I wondered who would have visited him if I had not arrived. He told me he had written over 15 people to come see him and I was so far the only response he had. 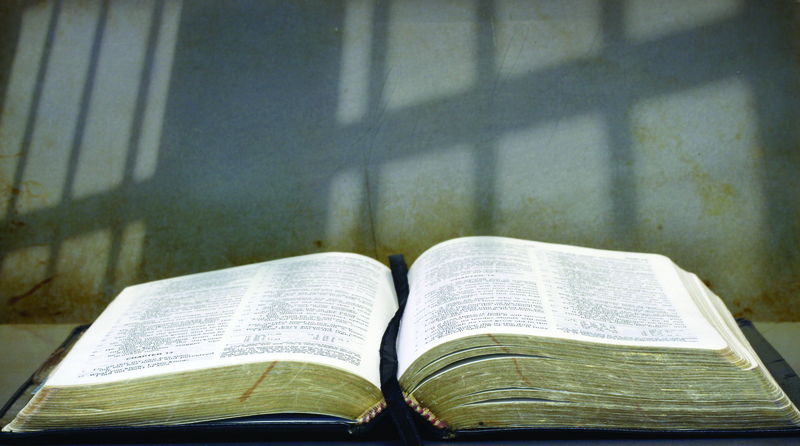 When I heard that I was reminded why I was in there – in prison ministry. I was a lifeline of hope. And then I reflected on a recent ministry opportunity I had which would take me out of the prison ministry if I was chosen for ministry in an outside community setting. It was what I had been dreaming of for years. But suddenly I could not get this gentleman out of my mind. And I learned something important. I learned where I belonged in ministry. I realized I belong in ministry where I am most needed. Where I have a burden for the people I serve and they receive genuine ministry from me. This burden takes the form of being pulled toward ministering to God’s place of ministry and the needy people awaiting His ministry and seeing God use me in ministry in that space. It is like a marriage. God puts us together with the people we belong with and are matched best with to serve and do life together with. And then he wonderfully works his Presence in and through us. I began to wonder if the people in the other ministry I had applied for needed me as much as these prisoners, even after all these years. I wondered who would take care of the prisoners if I left and was successful obtaining the new job. And it caused me to come to an uncomfortable conclusion: Serve where I am placed and being used of God now, even if it is tedious, tiring and difficult, until he moves me to my next place. It may or may not be the location of my application for another ministry. I would know soon. And then the process of walking by faith will continue. In the meantime I continue to serve one of earth’s neediest congregations. Men who are isolated from their families, loved ones, and society. Not perfect men. Some are Forgiven men. All are Needy men. Most all are Forgotten men. Funny how a walk back to my office after touring solitary can give me thoughts like this and bring eternal perspective. But that’s what happened. As we interact with people who are in need God is there with us, at work, a theological moment. And when it is over we become aware of the fact that we have just had a teaching moment. A moment when heaven reached us, caught our attention, and gave us some important detail to think about. Just when we least expected it. But always on time. As it turned out I didn’t get that other job. And maybe that’s all it was–a job. Whatever the case, I am still in Prison ministry but with new perspective. I have accepted that this is where I belong. It does not carry the excitement of a new location, but it carries the familiarity of an old friend. I have come to see the advantages of both sides. The familiarity of the old, with the people that know me, and my ever-increasing influence where I minister. The excitement of the new, or possibly temptation of the new, creating a tension with the timing to leave the old. And in the middle of it all my age which is passing mid- 60s. This has been a lesson in grace on many levels. Seeing God minister after all these years, even in my older years, after walking prison hallways and walkways for nearly 30 years, has a blessing of its own. Seeing prisoners relate to me, especially the younger ones, is a blessing as well like when recently a younger prisoner said to me, “Rev, you still got it going on!” Feeling the soothing Presence of God as I walk the grounds of one of the largest prisons in the Northeast beings a satisfaction unmatched by a newer job or location, with its adjustments, its new people, and learning curves. Yes, God has been good. And His grace has been real. I’ve tasted it over and over. Now it’s time to sink my roots deeper. Deeper into the soil of corrections and the people whose lives (staff and offenders) populate the landscape of corrections. It’s time to listen more, listen closer, look at the faces of those passing my paths, and silently asking the questions of what is going on in their lives underneath the exterior. Taking a prophetic stance when needed and speaking from the years of experience into the present life of this system called incarceration. And risking the consequences for that stand in some cases. And what shall I say? Prisoners are people. Real people. With families. With feelings. With hopes and dreams. With scars. With fears. With institution issues in some cases. But didn’t Jesus tell us in Matthew 25 that He was in prison and we visited Him there? Is that the magnetic pull I feel toward prisoners – the explanation of Scripture – that Jesus Christ is with them in this place? Has that changed since the Bible was written? No, the Gospel commands us to go beyond our comfort zone and minister to the needs of the dispossessed. So that’s where I am. And that’s where I have been called. And that’s why I’m there. And that’s where I will stay. And that is where God will find me. And this humble experience has settled the comfort issue for me once for all. It’s more important to be where we are called that be where we want to call ourselves. And so I invite you to take another look at your ministry and ask yourself the question: “Is Jesus there?” And if he is, it may not be comfortable, but it will be where you are called, and most importantly, it is where God will be found and working. Does anything else matter? I am one of the CBA military chaplains and just want to encourage you that the Lord is using your story and experience to speak to me in mine. Even though our ministries may look different, we serve the same Lord and Savior! Thank you Adam. I am grateful Andy published it on his site. This article was written almost a year ago and ironically I am now in a church serving as Pastor, albeit a different church than the article spoke of as an opportunity. Time goes on. After several years of retirement from Prison Chaplaincy I can say Matthew 25:31-46 is absolutely true. I found Jesus was alive and active in the prison environment and I believe the same holds true for health facilities, missions, immigration venues etc. He is also in the Church [Revelation chapter 2 & 3]. He is with the vulnerable.